The PERT chart shows the logical connections and consequence of a set of tasks. PERT charts the time period for problem solving and the implementation plan for all activities along the critical path. 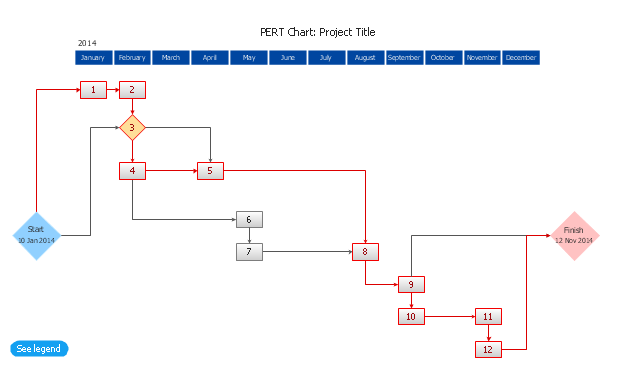 The PERT chart is also known as a precedence diagram or project network diagram. 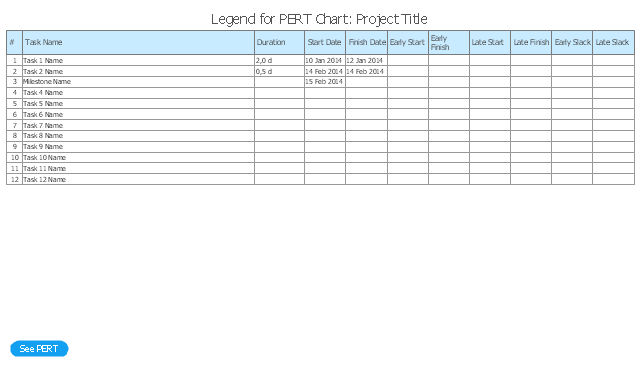 The PERT chart is one of the Seven Management and Planning Tools (7 MP tools, Seven New Quality Tools).